For years now I have been pointing out that Obama’s lasting legacy would be his ill-advised decision back in 2009 to normalize assassination, which his administration successfully rebranded as “targeted killing”. This was supposed to be the latest and greatest form of “smart war”: the use of unmanned combat aerial vehicles (UCAVs), or lethal drones, to go after and eliminate evil terrorists without risking US soldiers’ lives. It all sounds so slick and, well, Obama cool. The problem is that any sober consideration of Obama’s foreign policy over the course of his eight years as president reveals that the reality is altogether different. Judging by the murder and mayhem being perpetrated all across the Middle East, “smart war” was not so smart after all. It’s not easy to tease out how much of the mess in the Middle East is specifically due to Obama’s accelerated use of lethal drones in “signature strikes” to kill thousands of military-age men in seven different lands. For he also implemented other, equally dubious initiatives. Planks of Obama’s bloody “smart power” approach included deposing Libya’s dictator Muammar Gaddafi in 2011, and massively arming (from 2012 to 2013) a group of little-understood “appropriately vetted moderate rebels” in Syria. Adding fuel to the fire, Obama oversaw the largest exportation of homicidal weapons to the Middle East ever undertaken by a single US president. Saudi Arabia wasted no time in using its US (and also UK) military provisions to lay Yemen to waste. Conjoined with Obama’s use of drones in that land, the result has been a horrific civil war in which many civilians have been killed and many civilian structures destroyed. As if all of this were not bad enough, Obama also managed to drop more than 26K bombs in 2016, after having dropped more than 23K in 2015. Given all of this very warlike behavior in undeclared wars, no one can truly say precisely how much drones are to blame for the ongoing carnage throughout the Middle East. What is beyond dispute is that together these measures culminated in a huge expansion and spread of ISIS and other radical jihadist groups. At the same time, given the tonnage of bombs dropped by Obama in seven different countries, the use of drones does seem to have led directly to a willingness of the president to use also manned combat aerial vehicles, notably in countries with which the United States was not at war when Obama assumed his office. While his predecessor, George W. Bush, can be properly credited with the destruction of Afghanistan and Iraq, Obama managed to contribute heartily to the destruction of Libya, Yemen, and Syria, while attacking the people of Somalia as well. Enter Donald J. Trump, who became the new US president on January 21, 2017. On that same day, two drone strikes in Yemen killed a slew of people, three of whom were said to be “suspected Al Qaeda leaders”. The US government has not confirmed that it launched the strikes. It is the policy of the CIA, put in charge by Obama of the drone program “outside areas of active hostilities” (in countries such as Yemen, Pakistan, Somalia, et al. ), not to share the details of its covert operations. This would seem to imply that the drone strikes on January 21, 2017, were not the doings of the Pentagon, now under the direction of General James “Mad Dog” Mattis, who was sworn in on the same day as the new president. Trump’s choice for CIA director, Mike Pompeo, has not yet been sworn in, as his confirmation process is still underway. In other words, the drone strikes carried out under the auspices of the CIA this past weekend were done so without a director in place. Obama therefore succeeded not only in normalizing assassination as “targeted killing” when the implements of homicide used are missiles, and they are launched under the direction of the CIA, but he also left the killing machine on autopilot. Note that the former CIA director, John Brennan, who first served as Obama’s drone killing czar, before being promoted to director, has spent his time in recent days bashing the new president, not serving as Trump’s interim adviser. 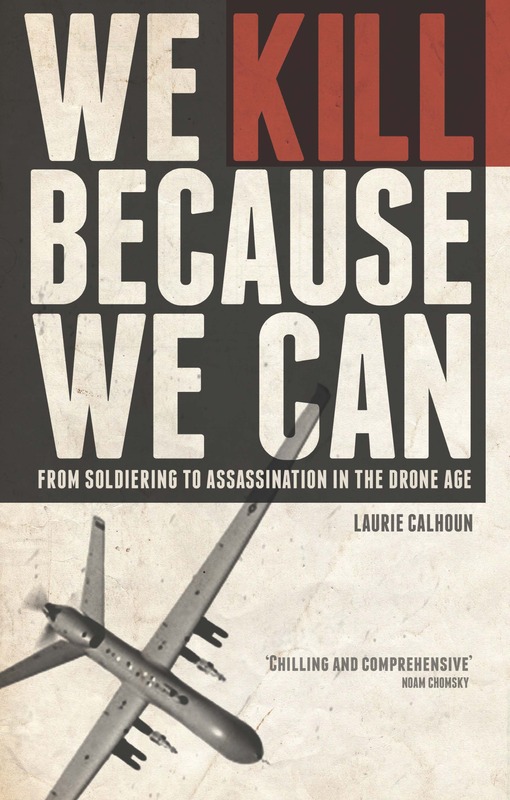 The incineration of military-age men using missiles launched from drones has become so frequent and commonplace that US citizens, including legislators, did not blink an eye at the fact that the killing machine set in motion by President Obama is now effectively on autopilot. It’s worth remembering that, once upon a time, acts of war were to be approved by the congress. Now even acephalic agencies such as the directorless CIA are permitted to use weapons of war to kill anyone whom they deem to be worthy of death. All of this came about because Nobel Peace Prize Laureate Barack “no boots on the ground” Obama wanted to be able to prosecute wars without appearing to prosecute wars. Fait accompli. It’s hard to know where to start in addressing the US government’s “Summary of Information Regarding U.S. Counterterrorism Strikes Outside Areas of Active Hostilities,” released on Friday, July 1, 2016, before the long holiday weekend, in the apparent hope that no one would read it. Some of us did. The report claims, preposterously, that in 473 drone strikes “against terrorist targets outside of active hostilities,” a total of from 2,372 to 2,581 combatants were killed, along with from 64 to 116 noncombatants. These numbers are shockingly low, given the many detailed reports on drone killing issued by NGOs and human rights groups since 2009. Even Senator Lindsey Graham claimed back in 2013 that drone strikes had, by then, already taken out some 4,700 “terrorists”. That’s about twice the number the administration is claiming were killed during a period of time even two years longer, from January 20, 2009, when Obama killed a slew of innocent people in Pakistan in a series of missile strikes which provoked mass protests in Islamabad (captured for posterity on film, so, no, they cannot be denied), and December 31, 2015. Should anyone care what Lindsey Graham says? Maybe not, but given that he is a foreign policy insider, and longtime member of the Committee on Armed Services, there is some reason for believing that when he boasts that nearly 5,000 “terrorists” were killed, then at least that many suspects have certainly been slain. One possibility for the discrepancy is that Graham was including “areas of active hostilities” along with the places covered by the recently reported numbers. The July 1, 2016, report excludes the death tallies from Afghanistan, Iraq, and Syria, where Obama has lobbed thousands of missiles. In fact, in 2015 alone, Obama authorized more than 23,000 bombings of Muslim majority nations, which suggests that, unless the bombs are being dropped by blindfolded pilots and drone operators, at least 23,000–and likely many more–people were killed by the US government that year. Let us set aside the somewhat disturbing discrepancies between the recently issued report and the likely death toll of Obama’s many lethal initiatives, and focus today on the simple numbers detailed in the July 1, 2016, report. I’ll follow up with everything else wrong with the report, including how it flagrantly denies what transpired in January 2009, in the series of posts to follow. First, if the range of combatants killed is said to be greater than the total possible number of noncombatants reportedly killed, then this alone suffices to demonstrate that the latter number can only be erroneous. The reason why there is a range for combatants is because the administration does not know how many they have killed. It could be 2,372 or 2,373 or 2,374, or anywhere up to 2,581, assuming charitably that these numbers are based on some form of attempted analysis and not merely pulled out of a hat or produced using a random number generator by someone in the public relations wing of the Pentagon or the CIA. Suppose that the lowest number of the range of “combatants” were killed, that is, 2,372. This means that another 209 people who might have been combatants killed either were not combatants, or they were persons who were not killed at all. That’s either 209 corpses of unknown identity or 209 possible corpses. Either way, the fact that the US government does not know whether those 209 people were really killed and, if so, whether they were combatants, already reveals that the highest number of noncombatant deaths reported is false. What the report should say, if it hopes to be taken seriously by anyone at all with even the most rudimentary understanding of arithmetic, is that between 64 and (116 + 209) = 325 noncombatants have been killed. Instead, the report pretends that the range of uncertainty on combatant deaths does not imply anything about the likely range of noncombatant deaths, when it obviously does. The reason why the government cannot decide whether 2,372 or some number up to 2,581 combatants were killed is because they were unable to confirm that the 209 people purportedly slain were in fact slain or else that they were in fact combatants. This brings us to the next, much more serious problem, elaborated in Part 2 of How Self-Styled Drone Warrior US President Barack Obama Normalized War Crimes: “Suspects versus Combatants”. In 2009, a reported 27,000 people were employed in the public relations wing of the Pentagon (AP). I presume that there are even more today. Their job, as is true of every state-funded Ministry of Propaganda, is to win over “hearts and minds”, while the rest of the institution focuses on homicide. The United States carried out a drone strike last week in Somalia, targeting Abdullahi Haji Da’ud, a senior leader in the al-Shabab militant group, the Pentagon announced Wednesday. The Defense Department is still assessing whether the May 27 strike killed Da’ud. The reason why this is remarkable is because, as Reprieve has documented, in strikes aimed at 41 named targets, 1,147 people were killed. Given the shocking findings of that study, it seems safe to conclude that it’s easier said than done to eliminate named terrorist suspects (who, as a reminder, are suspects). Most of the victims of US drone strikes—both intended and unintended—have likely been military-age males, whom the US government defines as guilty until proven innocent. This is how the myth among the populace that targeted killing using drones is “smart war” continues to prevail. The categorization as “evil terrorists” of all military-age males in the remote tribal regions where missiles are fired (the “suspect” part appears to be elided by most people’s minds), is blithely accepted by everyone who praises the drone program. The only true requirement for conviction of “guilt” by the drone warriors is that a man be located in a zone where drone strikes are targeting suspected terrorists, whether named or unnamed. More often than not, the victims are brown-skinned Muslims. Needless to say, there is no discussion in the article about the consequence of the drone strike intended for Abdullahi Haji Da’ud, if in fact it killed someone else altogether. What if it killed a child, who has a father? What if it killed a male adolescent’s teenage brother? What would be the consequences then? As though the consequences of collateral damage had no strategic relevance whatsoever, the US government proceeds to kill suspects as fast as they can “finger” them in at least seven different countries, denying all of the inhabitants of those lands any rights, in a flagrant violation of the Universal Declaration of Human Rights. It’s not as though this sort of reaction to US military aggression is somehow new or unexpected. What is amazing is that no lessons appear to have been learned by the warriors from the fiascoes in Afghanistan and Iraq. Instead, the drone campaigns have expanded, spreading across several different lands, terrorizing countless innocent people and inspiring the very same kind of outrage which was witnessed during the occupations when innocent persons were slain by US military personnel and private contractors. Is it supposed to be wrong for a person to be incensed by the slaughter of his child or neighbors’ children because some analyst at the Pentagon has concluded on the basis of cellphone data that someone in their neighborhood was in cahoots with a radical Islamic group? Are all of the people depicted in the above video now on the US government’s hit list? What is beyond doubt is that the direct connection between cause and effect in drone strikes—a catalyst to radicalization—continues to be ignored, as though the failure of the killing machine to secure Afghanistan, Iraq, Yemen, Pakistan, Somalia, Libya and Syria somehow implies that it needs only to be cranked into high gear to kill even more. Drone strikes are a tactic which has failed to solve the problem for which UCAVs are allegedly being deployed. Even worse, they have exacerbated the problem of factional terrorism. Witness the proliferation of Al Qaeda franchises throughout the Middle East. As President Obama’s term in office draws to a close, he has been scurrying about in a diaphanous attempt to convey the impression that he has accomplished a lot. Will he leave any significant legacy beyond having served as the country’s first Assassin-in-Chief, who normalized targeted killing—the Hannibal Lectoresque stalking and hunting of human beings—through the use of drones? Despite shedding tears for gun violence victims in the United States, Obama managed to spread deadly weapons all over the world and provoked renewed militarism in Eastern Europe and the Far East by presiding over untold numbers of covert actions and military exercises. Remarkably, Obama even convinced Japan to renounce its anti-militarist stance spanning the decades since World War II. How about that trillion-dollar, thirty-year-plan nuclear weapons program upgrade in violation of the 1968 Non-Proliferation Treaty? (I have to ask: has Obama himself been replaced by a machine?) In a bizarre and ironic twist, Obama plans also to be the first sitting US president to pay a visit to Hiroshima, the city entirely razed by the first atomic bomb to be deployed in history, by the United States, on August 6, 1945. Three days later, on August 9, 1945, Nagasaki suffered the same fate. In recent weeks, Obama has been busy issuing executive actions—from public school bathroom initiatives for transgender students (was this a problem? ), to extensions of overtime pay, to opening up arms trade with Vietnam (motivated by concerns about China and the TPP?). At the same time, Obama has stepped up his efforts to demonstrate that he has the terrorism situation under control. It wasn’t that surprising when two days ago he made a big show of the fact that he had authorized the execution without trial by lethal drone of Mullah Akhtar Mansur in Pakistan. Once again, as in the case of the operation in which Osama bin Laden was slain by a group of Navy SEALS, the Pakistani authorities were not informed about the mission until after the fact. Obama claimed that the authority to assassinate Mansur derived from the tried-and-true “legitimate self-defense” pretext. The “evil” Taliban leader was said to be responsible for planning attacks on US forces in Kabul, Afghanistan. What Obama omitted was that the US force presence in Afghanistan had been increased at his behest in order to provide support for killing operations in Yemen back in 2015, when President Abd-Rabbu Mansour Hadi was overthrown by a Houthi coup, and US personnel were evacuated from that country. In other words, it was Obama’s own insistence on continuing his drone campaign in Yemen which led him to send more soldiers to Afghanistan, where they met with the ire of the Taliban, the members of which naturally sought to eject the invaders from their land. We’ve seen this all before. In fact, it has been going on since the invasion of Afghanistan in 2001 and Iraq in 2003. But rather than heeding the lessons of history—or even the dictates of common sense—the US government persists in its killing campaigns, as though they were accomplishing something. So now Mullah Akhtar Mansur, said to be an obstacle to the peace process between the Taliban and Afghan authorities, is dead. Does it matter in the least? This morning the Taliban announced that Mawlawi Haibatullah Akhundzada has been named the new No. 1 leader. A variation on this theme has played like a broken record throughout the absurdist Global War on Terror, during which most of the people killed are said to threaten “our interests” on the other side of the world. Other victims just happen to be located in the same neighborhood. US citizens have become so accustomed to the narrative according to which our good leaders are saving us from people just like Osama bin Laden, that they have lost all ability to consider the reality of what they are paying for. I recently watched the film American Sniper (2014), directed by Clint Eastwood, which offers a perfect illustration of the foggy lens through which most Americans, including politicians and government bureaucrats, view military intervention abroad. US Navy SEAL Chris Kyle is depicted as a hero for killing more than 200 “enemy forces”, 160 of which were confirmed by the Department of Defense. In reality, Kyle was killing people attempting to kill the invaders of their own land, Iraq. Does anyone seriously believe that if hordes of armed warriors made their way to US shores that residents would stand by and let them round up “suspects” and torture them, or assassinate them point blank, along with anyone who happened to be with them at the time? Is it at all plausible that no one in the United States would retaliate? Would anyone accept the “self-defense” pretext of the invaders for killing US residents in their own homeland? The US invasions and occupations of both Afghanistan and Iraq, the removal of Muammar Gaddafi from power in Libya, and the drone campaigns in Yemen and Somalia have all proven to be disastrous, as evidenced by the predictably surging ranks of the Taliban and Al Qaeda and AQAP and Al-Shabaab and ISIS and Daesh in direct response to US counterterrorism initiatives. Even setting aside the gross moral and legal violations inherent to the US drone program, it simply does not work. It never worked, and it will not work when Obama hands over the drone warrior holster to the successor of his throne.